The Australian company Echo Fix has specialised in the repair and maintenance of tape recorders for more than 10 years. 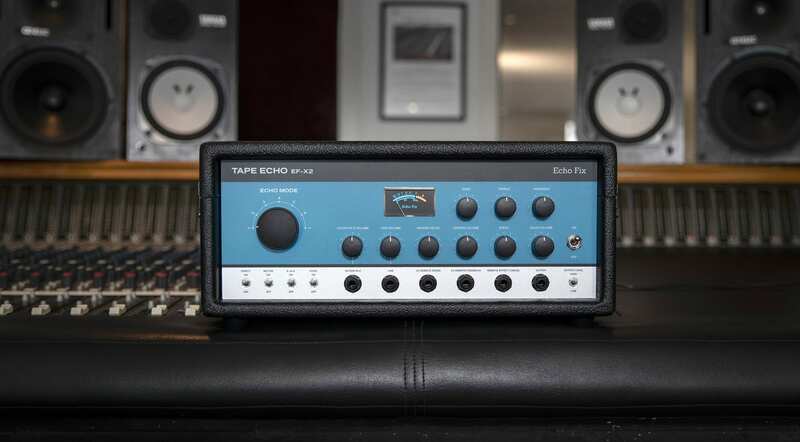 Now it’s producing its own tape echo unit, the Echo Fix EF-X2. Echo Fix says it’s been developing, testing and reworking the design of the EF-X2 for three years now. Since it is difficult in this digital age to get the needed special parts, the company invested in expensive equipment to manufacture and calibrate its own hardware from scratch. The heads are also made to their specifications. 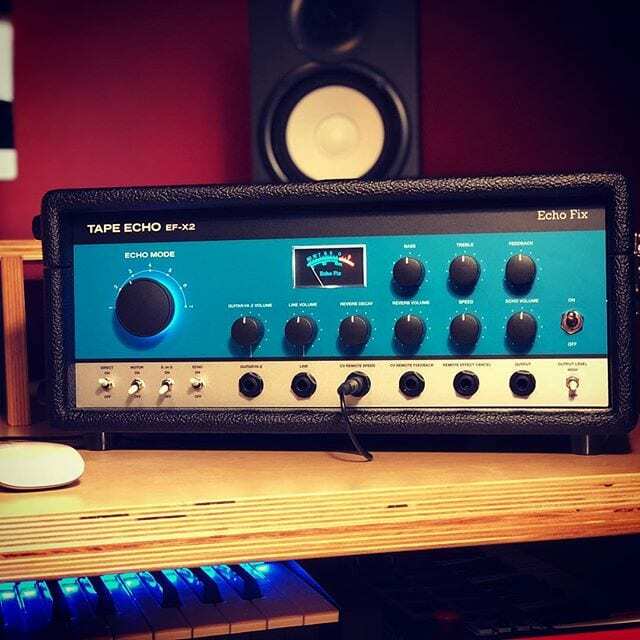 Tape echo for a modern age? What’s in this box apart from a big loop of tape? 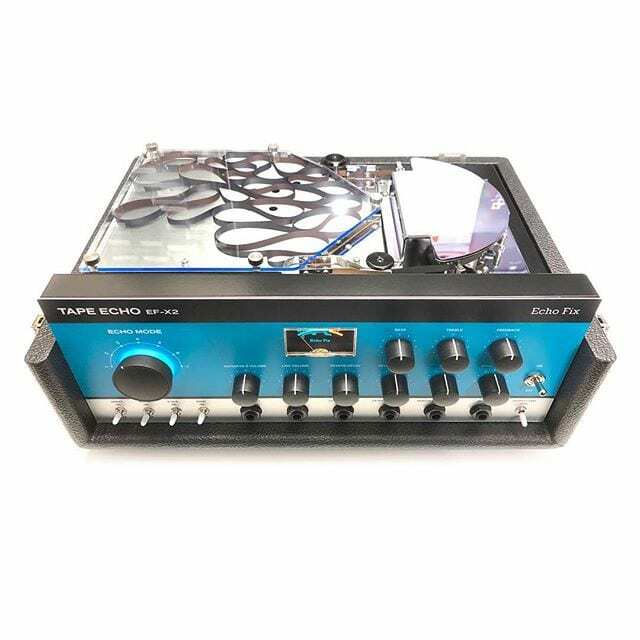 Not only can this device be used as an analogue tape echo, it also functions as a preamp and a digital DSP reverb. 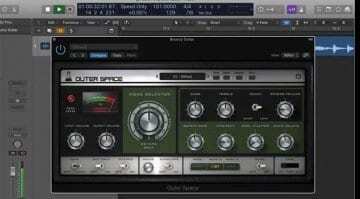 It’s designed for use with guitars, a modular synth setup or in a studio environment and should have something useful for all of these situations. 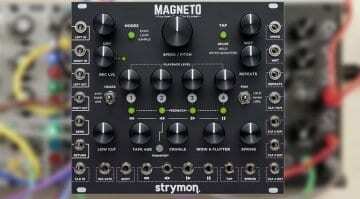 There are independent inputs with gain regulators for instrument and line level, plus symmetrical inputs and outputs. It has three sound heads for the echo effect plus another “Sound On Sound” sound head for a total of 11 possible variations. Echo Fix EF-X2 Tape Echo – Look real tape! The Time and Feedback can be adjusted via Control Voltage (CV 0-5 Volt) and/or expression pedals, a useful feature for synth players or guitarists that have both their hands full already. The sound of the tape echo effect can be adjusted with a 2-band EQ for bass and treble. There’s also has a handy Motor ON/OFF switch to allow the well-known “slow down effect” or simply to save the tape when using the EFX2 only as a reverb or as a preamp. The Hall and Echo can also be switched on and off via an external footswitch. The EF-X2 also has a power supply that can handle voltages from 100 – 240 volts, making it compatible with outlets anywhere in the world. You can hear the EF-X2 in action below in the two official demo videos. I love a nice tape echo and have owned many over the years, but I really don’t miss the maintenance side of them. However, if you want THAT tape sound, you have to deal with keeping them in good working order. 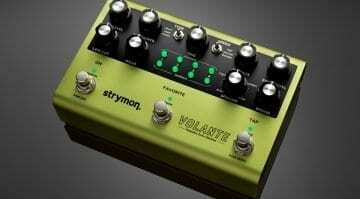 Which is both timely and costly, but you do get that tone! 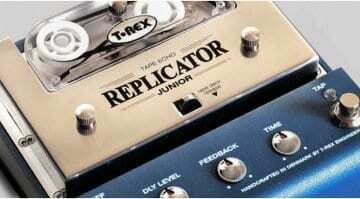 I’d also consider getting the T-Rex Replicator Junior (affiliate link) which Thomann has on offer at the moment and is a fraction of the price of the EF-X2. It isn’t as well specified, obviously, has no reverb, preamp, EQ or CV, but it will get you that tape echo tone. RRP – The Echo Fix EF-X2 is available from June, the first 50 devices USD 1450, plus shipping.